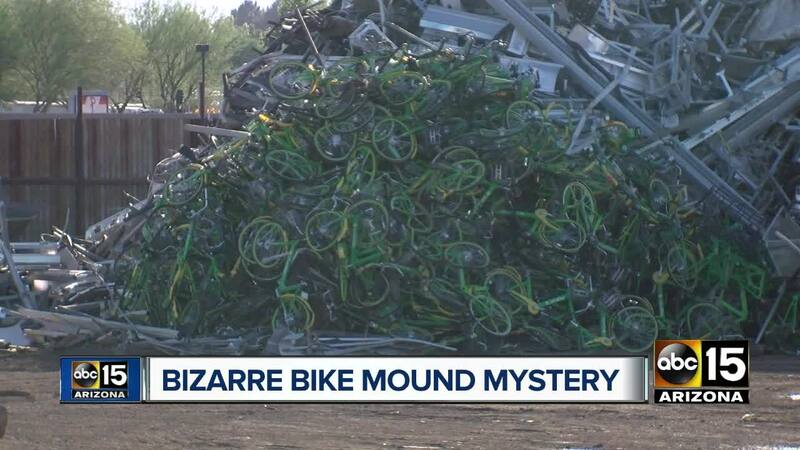 It’s a bike mound mystery. 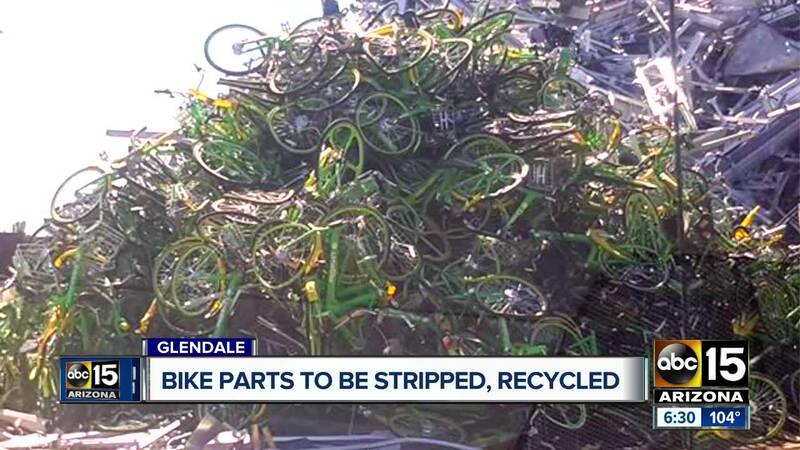 ABC15 spotted dozens — if not, hundreds — of Lime rental sharing bikes dumped in a Glendale scrapyard after a viewer tip. “It was half the size of my house,” Tom Hicks said, describing the pile. Hicks was stopping by Southwest Metals near 55th Avenue and Bethany Home Road when he saw the pile and sensed something was off. “They still had their brakes, their seats, their baskets,” he said. RELATED: Who picks up dockless bikes? “It wasn’t a matter of just a guy in a truck coming and dumping a few of these things off that may’ve been damaged,” Hicks said, adding what he saw left a sour taste in his mouth. "We work with numerous recycling facilities to ensure that any bikes that are beyond repair are disposed of in a responsible, green manner. 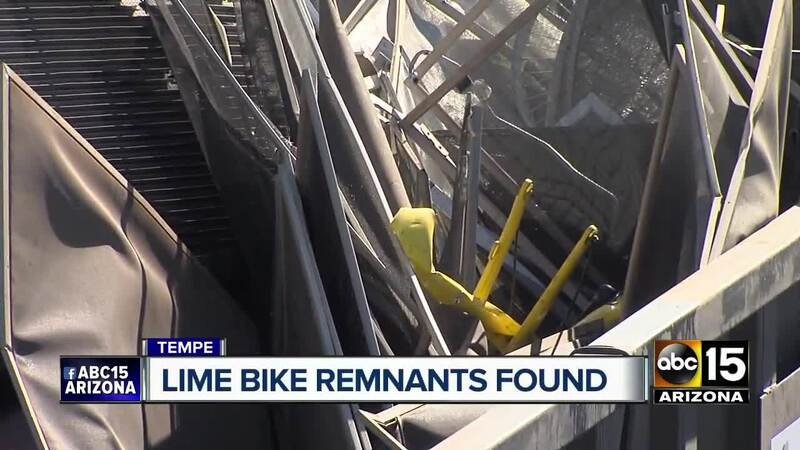 We have confirmed with one of the recycling facilities that the bikes pictured are in the middle of the recycling process, and will be further stripped down, separated by metals, and recycled properly. To prevent the issues that foreign bike companies have had, Lime is doing everything we can to ensure that our fleet is repaired, reused, and recycled in a way that is responsible and sustainable. We are working closely and proactively with sustainability experts to assess bike and scooter lifecycle, and will continue to establish ways to further enhance our sustainability efforts." Southwest Metals was closed and a phone call went unanswered.